FADE TO BLACK was founded by Brandt Smith with the cooperation and commitment of family and friends inspired by do-it-yourself hunting. 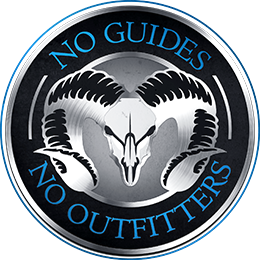 FADE TO BLACK is built on dedication, hard work, and relentless pursuit to harvest trophy class animals without the use of guides or outfitters. FADE TO BLACK brings a hunting show that is based on actual hunting and the tactics for everyone to succeed. FADE TO BLACK relates with the viewer; the average everyday guy and girl who want to harvest the above average animal. Pope and Young and Boone and Crockett animals without the price tag. FADE TO BLACK teaches the viewer how to obtain plat maps, cross reference with aerial photos, obtaining landowner information, contacting landowners; how, where, and what to look for while scouting; without ever spending a penny on guides or outfitters. To pick their top properties, hunt at the right times, and harvest the best animals of their lives using rifle, bow, shotgun, or muzzleloader. Whether whitetail deer, mule deer, elk, pronghorn, black bear, moose, bighorn sheep, or mountain goat; FADE TO BLACK relates with the viewer and brings back true hunting. Ordinary guys-Legendary hunts. Brandt Smith (age 33): Began hunting at age 9, and big game hunting at the age of 12. With 62 big game kills; including 11 Boone and Crockett and 8 Pope and Young animals, Brandt brings expertise in whitetail deer and mule deer hunting and specializes in archery and rifle hunting. Through unparalleled strategy and ingenuity combined with a love for air assault, Brandt has killed 9 book animals in the past three seasons. Brandt’s tactical and stealthy approach has continued to prove successful; leaving a mass of antlers unveiled at his very fingertips. Two of Brandt’s latest Boone and Crockett animals have been published in Muley Crazy and North American Whitetail magazines.